Slitting Machine uses three AC Vector Drives and has automatic tension on unwind and rewind controlled through easy-to-use PLC & MMI touch screen. Suitable for both plain and painted material such as PET, CPP, OPP, PE, PS, PVC,ect. 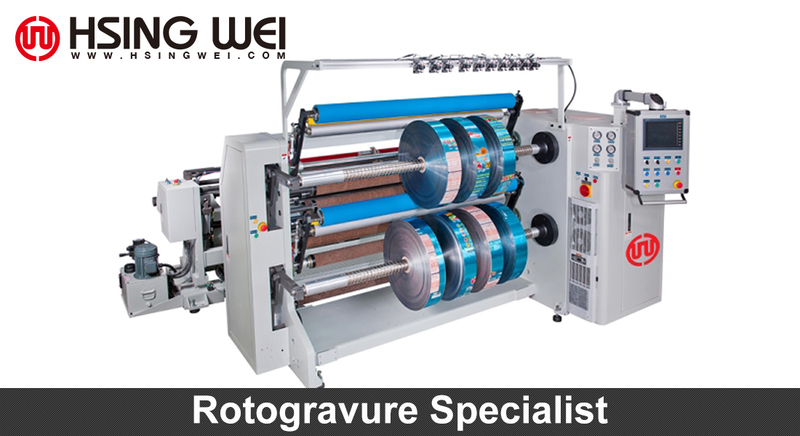 Hsing Wei is a Slitting Machine Manufacturer, and specializes in Slitting Machine and related flexible packaging equipment with over 40 years’ experience on this field. Hsing Wei provides the latest technologies for Slitting Machine, turnkey equipment, manufacturing management, operation training and after sales service.Hsing Wei Offers Less waste, More profits, Good quality during printing to customers.Our Slitting Machine have been widely promoted to overseas markets.